R. Eugene Parta is the retired director of Audience Research and Program Evaluation for Radio Free Europe/Radio Liberty in Prague. Previously, Mr. Parta was Director of Media and Opinion Research (MOR) of the RFE/RL Research Institute in 1990. 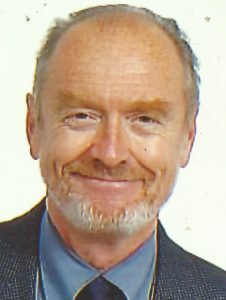 He has worked in the field of international broadcasting audience research since 1969. He has been on two occasions a visiting research associate at the Center for International Studies of the Massachusetts Institute of Technology, an Osher Senior Fellow at the Hoover Institution of Stanford University, and a Research Associate of the Institute of European, Russian and Eurasian Studies at George Washington University. Parta has written extensively on media use, communications and public opinion in Central and Eastern Europe and has been a frequent speaker and participant in international academic and professional conferences. He is a member of the Washington Institute of Foreign Affairs and past Chairman of CIBAR (Conference on International Broadcasting Audience Research), which unites international broadcasting audience research units worldwide. Parta was educated at the School of Advanced International Studies of the Johns Hopkins University (MA), St. Olaf College (BA), Harvard University and the American University. More recently, Parta has been an active participant in the public dialogue on reforming US international media. He co-authored “A 21st Century Vision for U.S. Global Media,” published by the Woodrow Wilson International Center for Scholars. Parta is co-editor of “Cold War Broadcasting: Impact on the Soviet Union and Eastern Europe” (2010) published by the Central European University Press. His earlier book “Discovering the Hidden Listener: An Assessment of Radio Liberty and Western Broadcasting to the USSR During the Cold War” was published by the Hoover Press at Stanford University in 2007.